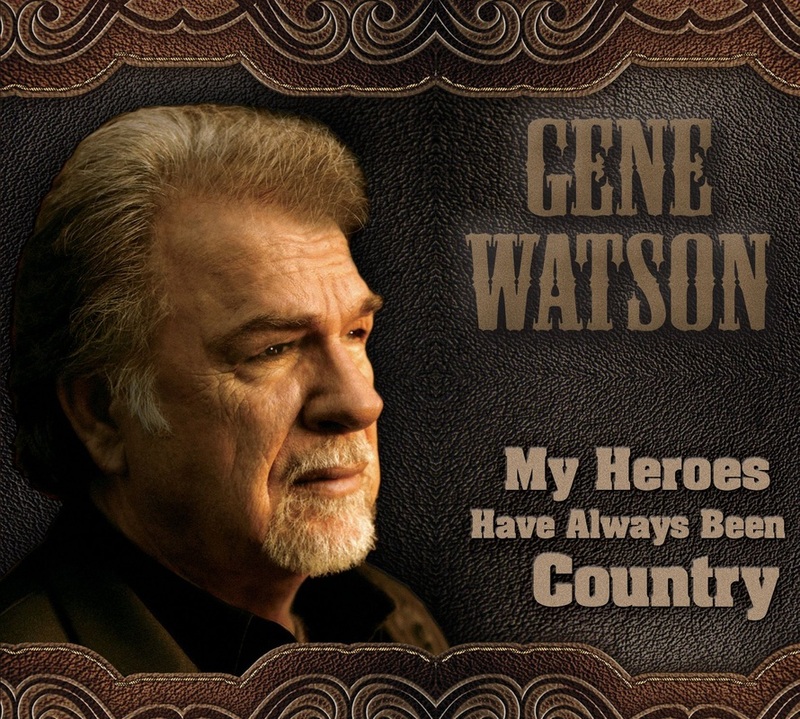 Gene Watson - "My Heroes Have Always Been Country"
On his newest album Gene Watson, often referred to as "a singers singer", takes us on a very special musical journey down memory lane. He eloquently covers some of country music's true classics as a testimonial to "just a few of the country artists who most influenced [his] own musical journey". The album kicks off with, "Here Comes My Baby Back Again", written, and made famous, by Dottie West, and just when you find yourself thinking it is going to be tough to find a great song to follow Watson's rendition of that one, your heart easily recognizes the first strains of a tune made famous by the great Ray Price, "Don't You Believe Her". Well, believe it or not (pun intended), the album just keeps getting better with each song. By the time the seventh track, "Walk Through This World With Me", comes wafting out of your speakers, you are lost in a delightful nostalgia fog and although the ninth track, "I Forget You Everyday", has some constructive suggestions for connecting with reality, it's too late because you are hooked on the music, the ethereal ambiance, and all the great moments in time that you have attached to this incredible music. All eleven songs Watson chose to record can be counted as country classics and his rendition of them is a true credit to the artists who inspired him. Watson stated, "I wanted to pay tribute to our country music history by covering songs that made a big impact on me growing up and as a young artist. It's getting harder to hear real country on the radio and I appreciate each of you that still make the effort to find it." I'm sure I speak for all real country music fans when I say we appreciate great talents, like Watson, who are willing to make the effort. He is the reason why the bulk of My Heroes Have Always Been Country.